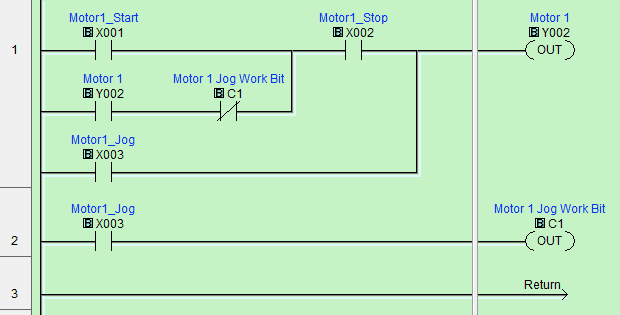 The program control instructions will allow us to specify what parts of the logic get solved and when this happens. 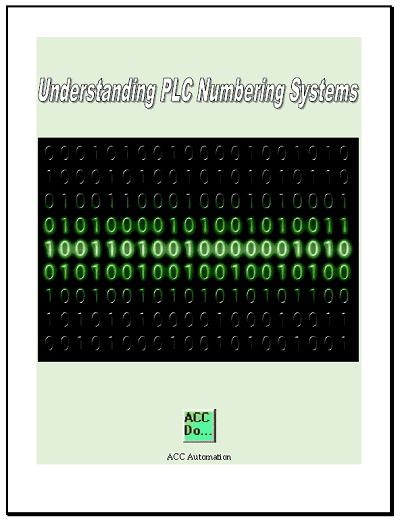 This will control how the PLC will scan and solve your logic in your program. 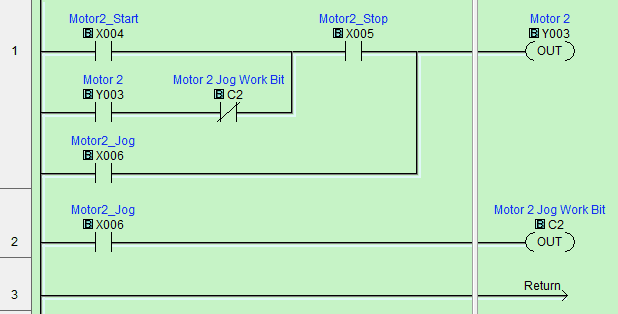 Program control (flow) instructions in the Click PLC will utilize interrupts and subroutines. In the last post on Click PLC Compare and Math Instructions we discussed interrupts. They can be timed or event (Built in inputs on the CPU.) When the interrupt happens it will immediately go and solve the logic in the interrupt and then return to the instruction following the location that it was called. This can and will happen at any time throughout the scan of the PLC. 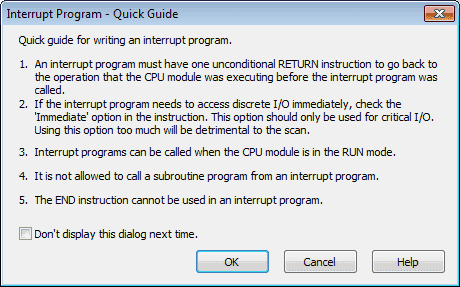 We will be using a software interrupt 1. The interval time will be 3 seconds and it will call up our interrupt routine called ‘Flasher 3sec’. 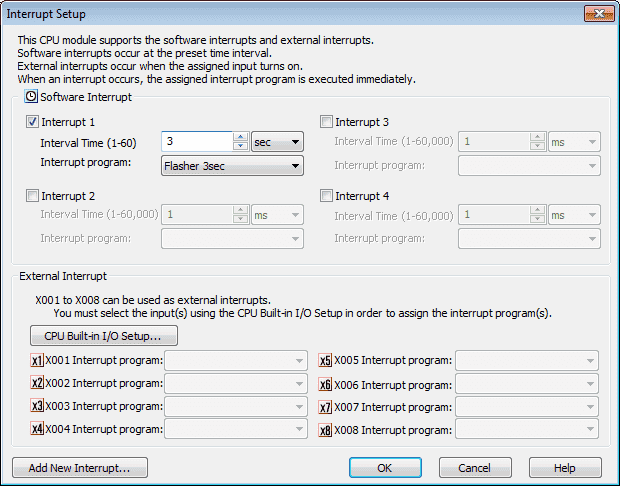 Here is the interrupt program quick guide that will be displayed as a reminder of the way in which interrupts are used. The code that we use for the flasher is just a normally closed contact going to the output of the same contact. Since this logic will only execute once every three seconds, it will alternate the output on and off. Subroutines are blocks of code that will get executed when they are called from the main program. This differs from the interrupt because with subroutines we have complete control of when it will be executed in relation to the main program. In the Click PLC we can have 986 subroutines. This means that we will have 986 calls or more in the main program to execute the code in the subroutine. We cannot have nested subroutines. This means that each subroutine must return to the main program. It cannot call another subroutine. When a Subroutine program is not called during a scan of the main program the memory bits and data registers within the subroutine will maintain their status unless some other part of the program changes their status or data. The purpose of subroutines is to organize your code into manageable pieces. These pieces can also be re-usable. 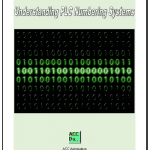 Readability of your PLC program improves when using subroutines because you are just looking at smaller pieces of code. The alternative would be all of the rungs in just the main program. This is hard to read and especially troubleshoot when things are not working. Note: Interrupt routines can happen at any time and the logic will continue to be solved after the logic of the interrupt is executed. Let’s look at an example. We will have two motors that need to be controlled. Each motor will have a start, stop and jog push buttons. To make a new subroutine, you can do one of the following. Enter the name of the subroutine. (Motor 1) Hit OK. 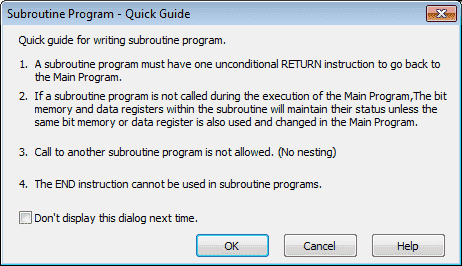 The subroutine program quick guide will now appear. It will remind us of how to use the subroutine program. Hit OK. Under the navigation window we will now see our subroutine Motor 1. Double click on it and we will enter the following code for motor 1. Under the navigation window, double click the main program. We can now call our subroutines that we have just made in the main program so that they will execute. We will use unconditional rungs and the ‘Call’ instruction. Enter the following on the main program. Note: Since we created our subroutines before using the call instruction they are available in the pull down menu of the instruction. We could also have added a new subroutine by this same instruction. 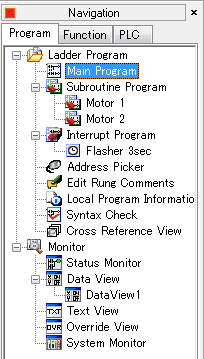 Looking at the navigation window we can see our two subroutines and interrupt program. Download the Click PLC Program Control sample PLC program. Controlling our program is easy with subroutines and interrupts. The advantage is that our program will also be easier to read, understand and troubleshoot. Next time we will look at shift register instruction.